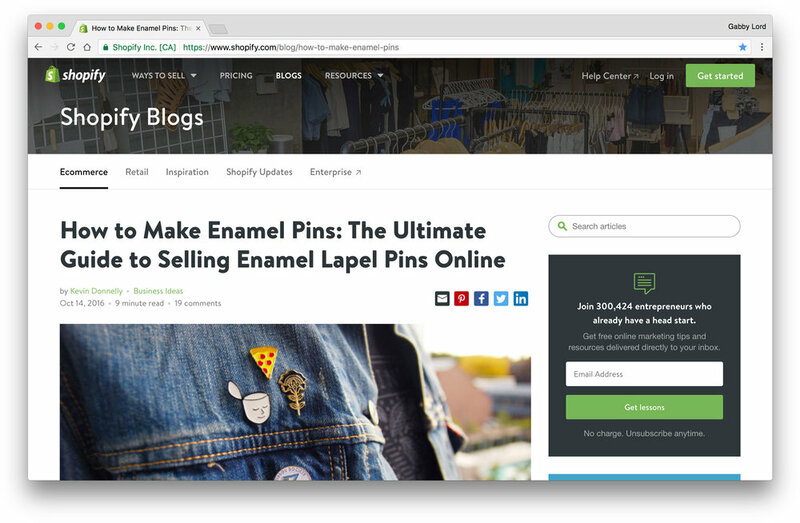 You may have noticed the increasing pinterest for decorating lapels with enamel. I’ve been doing some research into production costs and processes, and found this killer article by Shopify. If you’re thinking of creating some for yourself or for a client, this is a must bookmark! There is no denying most things/people that reference Broad City automatically gain my stamp of approval. This book is funny, educational and ladies and gents you should gift it to gal in need. Offscreen magazine is fresh thinking on tech, in print. It recently had a design overhaul so the latest issue and website are sporting a whole new look. Emojis transcend many a language barrier, so why not increase your slackabulary. Get the best emojis for your slack channel over at Slackmojis.